Pastor Mike Rose founded Temple Baptist Church in 1979. He graduated from the Bible Baptist Seminary, now known as the Arlington Baptist College and went to Flint Baptist Temple where he served as Youth Pastor until God called him to start a church in Three Rivers, Michigan. He started the church in the basement of his home in Vicksburg. There were 13 in attendance on the first Sunday. The church grew and in 1980 the church met at the Moore Park Elementary School and grew to about 150 members while at that location. In 1982, we moved to the Fabius Township Hall and continued to grow with a high attendance of 223. In 1986, we moved to our current location with a total of 260 in attendance for our first Sunday. The church has been in this area 30 years and God used Pastor Mike Rose in an amazing way here in Three Rivers. 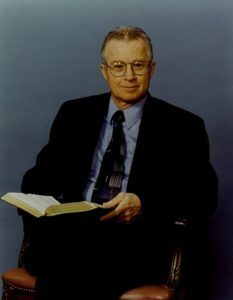 God took Pastor Rose home to be with him in January 2008.